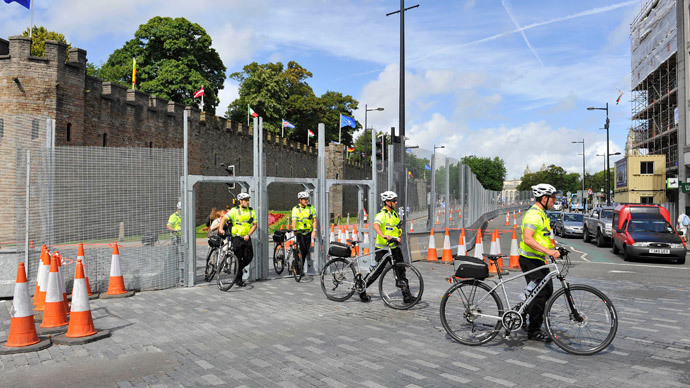 Just what the great and peaceful city of Cardiff did to deserve a visit by the North Atlantic Treaty Organisation next week is unclear. Perhaps NATO, a nuclear-armed, aggressive, expansive and extremely dangerous organization thought their visit would be quietly accepted by a city in lockdown. Some people are afraid, but others, however, are on the march. One of the organisers of this weekend’s demonstrations against NATO is Britain's communist leader Rob Griffiths, who joins us this week on board the Sputnik. And with a spate of beheadings, Western commentators are unsurprisingly fixated with the latest video horror show of an American journalist being savagely murdered by the gang of desperadoes. We take a look at the head-chopping, throat-slicing, medieval obscurants known as ISIS with Mohammed Hariri who came into the Sputnik studio to help us find out just where these murderous gangs are from and just who is funding them.